Happy 4th of July! It's been slower going leading up to this holiday weekend, but we've still made good progress, and there's lots of news to report, starting with the puzzles. On Wednesday morning, Denny Baker sent in 8 reassigned litzed puzzles; then I sent him another one, and late that afternoon, he sent the litzed puzzle back. 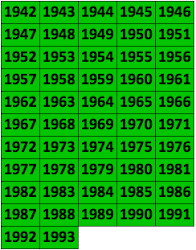 Then Friday morning, Nancy Kavanaugh sent in 3 more reassigned puzzles, putting her personal total at exactly 1,200 litzed puzzles (congratulations, Nancy!) and the litzing thermometer at 16,012! Thanks so much, Denny and Nancy! 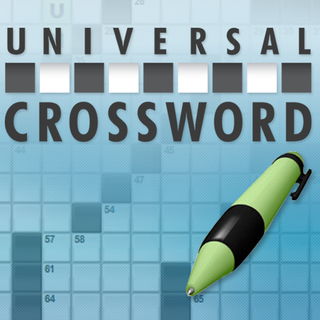 In addition, I was able to finish assembling the proofread 1974 puzzles for XWord Info and, thanks to Jim Horne, they're now up! Click here to see them. Next week I'll have more on Jim's database discoveries! [T]here's a famous dancer by that name, so famous she has a Wikipedia page. As you can tell, it is a she. Sounds like her life was a real mixture of tragedy and triumph. Someone even created a documentary about her. OK, so I found someone with the same unusual name as our constructor. Is it the same person? Thanks to the magic of the Internet, I can confirm that it is. Because of a comment made by a reader of an obituary of her in The Guardian. She was a talented portrait photographer, and an avid crossword puzzler from both sides of the grid; the New York Times published several of her invention[s]. I found an online reference to a Daniel Smullyan working for the Columbia Daily Spectator. Well, that's the paper [New York Times constructor] Finn Vigeland writes for, so I sent him a Facebook message (again, the magic of the Internet) asking if he knew Dan Smullyan. Finn replied that not only did he know Dan, he knew that he was the son of a constructor! First of all, he corrected a mistake I'd made in the blog article. Rema wasn't born in Russia. The Lapouses actually left Russia in 1907 (Sophie and Alexander were revolutionaries) and moved to Paris before moving to the U.S. near Boston. Rema was actually born in Paris. By the way, you probably wonder why I mentioned Rema: it's because I saw several references to her online, though I hadn't really investigated them. It turns out she was an M.D. 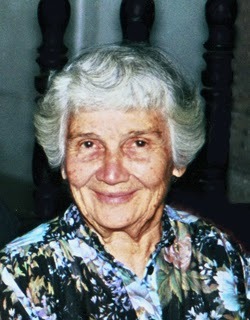 who was prominent in the areas of epidemiology and mental disorders. So prominent, in fact, that the American Public Health Association named an award after her. That's why I was seeing her name so often. While I'm here, I'll note that when her husband died (a prominent medical expert himself), the NYT ran an obituary on him that mentions Rema. OK, enough about Rema. Dan's mother, Irene, was, in his words, a brilliant woman who was always doing puzzles, including the Sunday NYT crossword, and one day had the idea to try her hand at constructing. She started with daily puzzles, [and] like most of us she wasn't successful at first, but ETM saw potential and encouraged her. As the "mother" puzzle shows, she was able to work her way up to creating Sunday puzzles. She was excited to work with ETM (apparently the only person she submitted puzzles to), though he could be curmudgeonly. Dan thinks she might have met ETM once in Florida (which would have been near when he passed away) but isn't sure. Dan also mentioned that not only are Raymond Smullyan and Robert Sloan Smullyan first cousins (who were more like brothers with each other than cousins), but Raymond was the one who introduced Robert and Irene (though Dan isn't sure of the details). By the way, Dan mentioned how his father has works in the Met and created one particularly famous war image, which you can see here. So all around just a remarkable pair of families joined by marriage. I asked Dan what he wanted to readers to know about his mother that wasn't already covered. He said that she was a wonderful, intelligent, creative, amazing person, a "force of nature." I'm including the photo Dan sent me, as well as an obituary of Irene from Harvard Magazine, which apparently his sister wrote. She is apparently something of an expert on obituary writing, according to Dan. One more thing I should say. 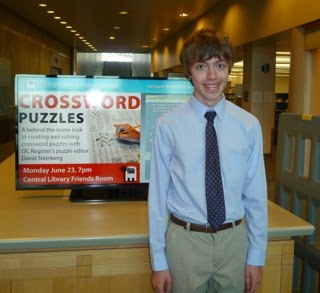 At the start of the interview, Dan said his mother would be thrilled with the interest in her puzzles. So a thank you from the great beyond. Photo courtesy of The Violet. I want to tell you about some more information I found. 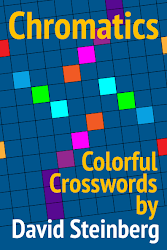 This time, about legendary crossword constructor Harold T. Bers. And I mean that literally. You do a search on him in Google, you see an entry on him in the Encyclopedia Britannica. Heck, you even see him mentioned in the article on crossword puzzles in EB. And both credit him with creating the so-called "internal clue crossword." An article in the Chicago Reader even says Margaret Farrar "credited constructor Harold T. Bers with inventing the themed puzzle." Wow! I found another article that apparently mentions Mr. Bers, this time in The New Yorker magazine. And, most significantly, an obituary from The New York Times. 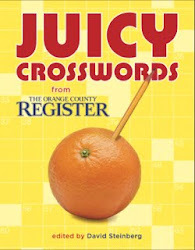 The obit credits him with "the so-called inner clue feature in crossword puzzles." I really like how they called that into question there . . . while admitting that yeah it's out there. But I also really like how the obituary talks about the man more generally, including mentioning his family (who maybe could give a clearer picture of the man). Note he passed away at 47, which can certainly add to one's legendary status. 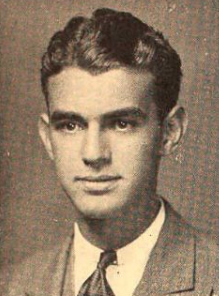 Todd also found the above photo of Bers, which was originally from the 1933 edition of the New York University yearbook, The Violet. The photo shows "what the man looked like . . . before he became a legend." Thanks so much again, Todd, for all this great research! It really brings the pre-Shortzian constructors to life! We're in a new month, and New York Times constructor Stephen Edward Anderson, who lives what sounds like an idyllic life in Italy, is the July Litzer of the Month! 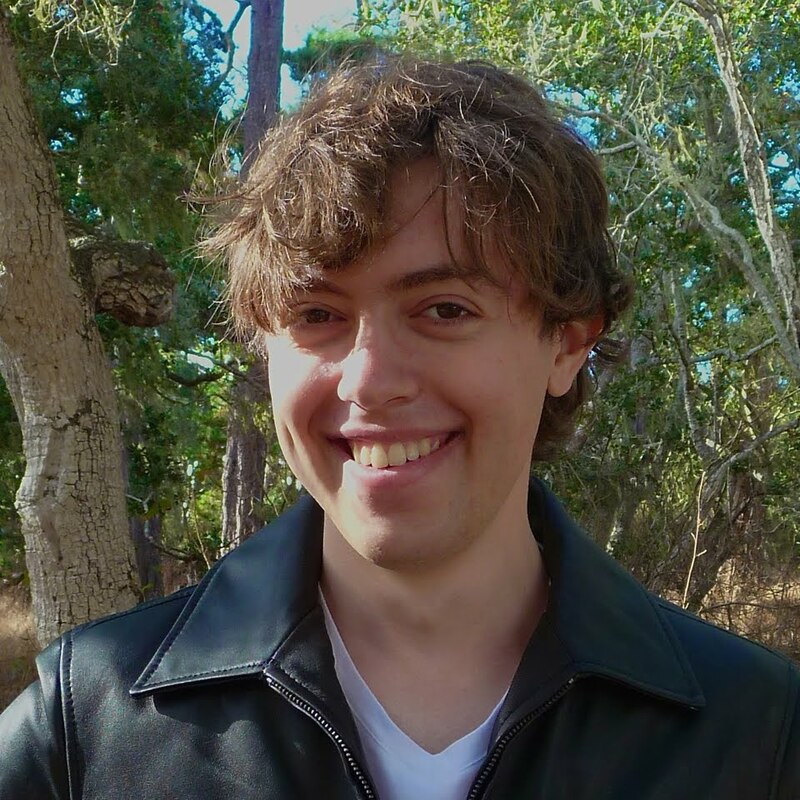 To read more about Stephen, click here or on the Litzer of the Month tab above. Grazie, Stephen! This was fascinating, David and Todd. I'm going to go out on a limb and write from memory, rather than on the basis of hours of internet research. Tanaquil Le Clercq was a brilliant ballerina and the last wife of the legendary choreographer George Balanchine, who was a serial husband -- his previous wives all started out as young muses of his. When Le Clerq was stricken with polio at the height of her career, many thought that Balanchine would stay with her, but in the mid-60's, Suzanne Farrell burst onto the scene, and Balanchine divorced Le Clerq. Much to Ballanchine's shock, Farrell rebuffed his advances, and instead married a male dancer in the corps de ballet, Paul Mejia, who was much closer to her age. Thanks, George—I'm glad you enjoyed it! 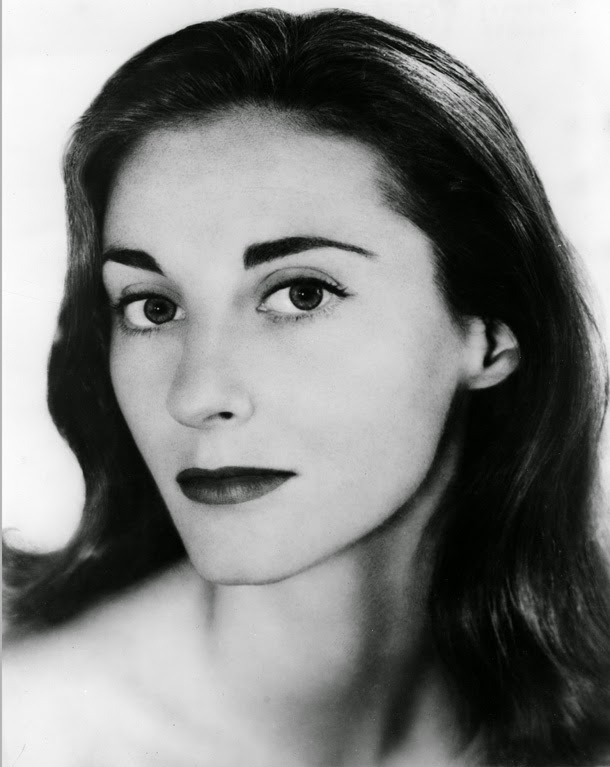 Tanaquil Le Clercq certainly led a very interesting and accomplished life!